Curezone.com states that olive leaf extract has been used extensively in Mediterranean and Egyptian cultures for thousands of years due its excellent medicinal properties. Research studies have proven the effectiveness of this extract in the treatment and prevention of a host of health ailments. Scientists are continually discovering the numerous benefits of this leaf and its extracts. Given below are some of the numerous health benefits of olive leaf extract. According to a research study published in ‘Phytomedicine’ in February 2011, it was observed that consuming 500mg tablets of olive leaf extract two times a day for treating hypertension is just as effective as the drug named Captopril, which is a well-known drug for the treatment of high blood pressure. 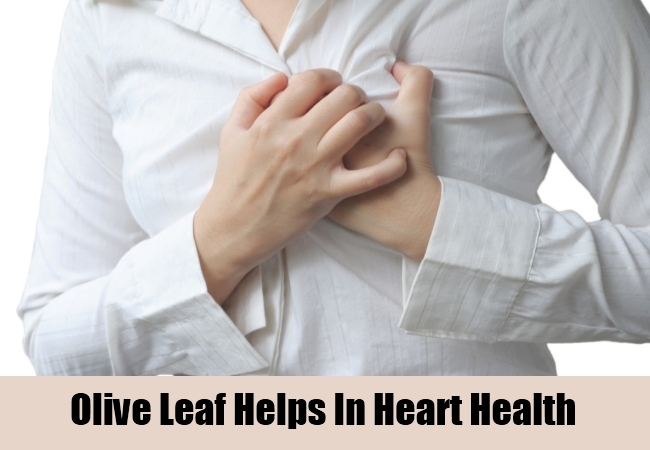 The extract of this leaf is known to be effective in lowering systolic as well as diastolic blood pressures in the human body. The participants of the research study also experienced a decrease in their triglyceride levels, which did not occur in those individuals who consumed Captopril. According to a research study published in ‘Arzneimittel-Forschung’, which is a German drug research journal, it was found out that olive leaf extract helped in decreasing high blood pressure in rats. The active ingredient responsible for this effect of olive leaf extract is polyphenol oleuropein, which is present in concentrations of 6 to 9 per cent in the dry matter of the leaves. Olive leaf extract may prove effective in treating infections. Oleuropein is an active ingredient present in this extract and is known to possess antioxidant properties that help in treating conditions such as herpes and hepatitis. According to a laboratory study published in ‘Antiviral research’ the extract of this leaf is considered to be effective in the prevention of infections caused by the viral hemorrhagic septicemia virus. apart from this, these extracts are also helpful in treating infections and preventing their spread in the human body as well. This makes olive leaf extract very valuable in the field of natural medicine. health experts believe that olive leaf extracts can be used in the preparation of several powerful antiviral drugs in the future. According to author Phyllis A. Balch, olive leaf extracts are very beneficial for the immune system as they contain oleuropein, which is a very effective ingredient. Oleuropein is able to prevent the occurrence of a wide range of health disorders. It also has a very positive effect on the health of the immune system. It helps to strengthen the immunity of the body and thus increases its resistance. Those who suffer from frequent bouts of various ailments can consume olive leaf extracts regularly. These extracts are also considered to be very beneficial in the treatment of conditions such as fibromyalgia due to the presence of a chemical named oleanolic acid. However, it is important to use these extracts in conjunction with your prescribed medicines as olive leaf extracts cannot deal with all the symptoms of this condition.